Gabon, a country along the Atlantic coast of Equatorial Africa, has protected parkland that makes up more than 10% of its area. Its population is 2 million (2015) and GDP per capita of USD 11,571 (2013). Gabon is a country in West Africa located on the Equator, and 75 percent of its population lives in urban areas. The Global Fund has been a major contributor to the fight against HIV and malaria in Gabon from 2004 to 2014. Gabon has a high HIV prevalence, with a high coverage of antiretroviral treatment. 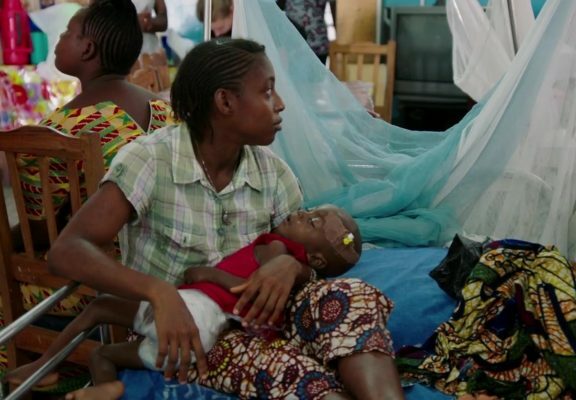 Similar to most West African countries, malaria is endemic. Gabon has one of the highest TB burdens in Africa with an estimated prevalence of 578/100,000 in 2014. The Global Fund support contributed to meaningful achievements, and in particular the high antiretroviral therapy coverage. No new allocation was provided by the Global Fund for HIV and malaria for the period 2014-2016 due to a combination of factors including the fact that Gabon is an upper-middle-income country. The TB program received an allocation of US$ 5.1 million under the New Funding Model because of extreme disease burden. Health systems improvements, including the management of human resources. HIV/AIDS program implementation of an expanded response. Environmental health and related conditions management. Family health management for targeted interventions. Support provided to promotional campaigns for selected mental health and substance abuse issues. Support provided to training programs to facilitate community-based mental health. Establishment of mental health surveillance and information systems facilitated. Direct technical support provided and project coordinated and monitored effectively. Support provided to surveillance and information systems to facilitate planning programs for the elderly. To provide support to programs that address the health needs of specific population groups. Direct support provided to mobilize resources for HIV/AIDS/STI programs . Support provided to plans, projects, and policies to strengthen specific programs and services. Training programs conducted to facilitate sustainable health initiatives for specific population groups or services. Surveillance and information systems to facilitate planning of selected family health programs. Support provided to training programs to facilitate NCD prevention and control, including information, education, and communication. Support provided to plans, projects, and policies to reduce NCD risk factors and mobilize resources. Support provided to plans, projects, and policies to improve management of NCDs. Support provided to surveillance and information systems related to NCDs. Support provided to research and evaluation studies on selected aspects of NCDs. To apply new approaches in planning and to institutionalise them. Health planning capacity strengthened and reoriented. Human resource capacity strengthened to reorient health systems . National and sub-regional information systems strengthened. Quality improvement programs strengthened for the delivery and monitoring of services at all levels . Appropriate health financing mechanisms modified to achieve equity, sustainability, and efficiency. Program implementation monitoring and evaluation mechanisms in place. Human resources plans and policies executed. The delivery of technical cooperation managed and coordinated at the country and sub-regional levels . Information Systems and Technology optimized at the AHO Office. Direct technical cooperation expanded to promote the production and dissemination of health information. projects in selected areas designed, approved, and implemented. Support provided to national programs to improve EH management. Support provided to advocacy efforts to modernize EH management. Support provided to the sub-regional human resources development plan for EH professionals at the country and sub-regional levels. Support provided to policy and legislation models in selected priority areas, including in disaster management. Capacity to manage disaster issues strengthened. Project coordinated and monitored effectively. To reform the health systems of countries to improve the efficiency, effectiveness, and quality of services delivered to the population. Support provided for the introduction of methods, models, and technologies to enhance the capacity of countries to plan and implement health reform training programmes. Electronic directory of health services and technologies made available in OECS member countries, and selected referral centres in Africa made operational and accessible to all member countries. Support provided for the introduction of plans, policies, and projects based on best practices to strengthen institutional arrangements for accessing shared services between member countries and referral centres. Models, methods, and technologies introduced to establish an Africa-wide cancer registry. Methods, models, and technologies to strengthen the capacity of health providers and ministries of health in states to establish and monitor programs for the health services introduced.